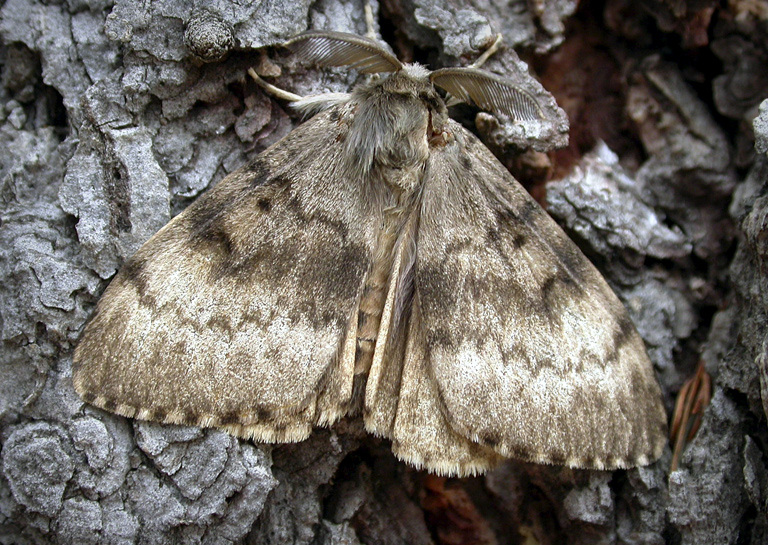 Home Agriculture Officials propose gypsy moth treatment in central, eastern W.Va.
Officials propose gypsy moth treatment in central, eastern W.Va. The W.Va. Department of Agriculture, in cooperation with the U.S. Department of Agriculture-Forest Service, is proposing aerial treatment of gypsy moth infestation over approximately 5,298 acres in the central and eastern mountains in 2018. Officials are concerned that without treatment infestations in West Virginia will reach high enough levels to cause tree mortality, according to Kent Leonhardt, state commissioner of agriculture. Large numbers of caterpillars are expected in the designated 2018 treatment area, Leonhardt said. It is likely that many already-stressed trees will not be able to withstand an additional heavy defoliation and will perish. Water quality, recreation experiences, wildlife habitat and timber production could all be negatively affected. “Protecting our forests is an essential duty of the W.Va. Department of Agriculture. We must safeguard one of our state’s most valuable resources,” Leonhardt said. The young gypsy moth caterpillars are spread through the wind, though human activities have sped the movement of these insects considerably. Agriculture officials caution against the transport of firewood into or out of the West Virginia because pests such as the gypsy moth, the hemlock woolly adelgid, the emerald ash borer, and other invasive insects may be in or on the wood. Owners of RVs and campers are asked to thoroughly inspect and wash their equipment before moving it. The department will treat these acres under the its Cooperative State-County-Landowner Suppression Program. 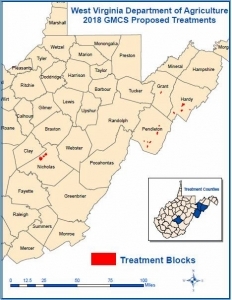 The department is soliciting public comment on the areas proposed for treatment. 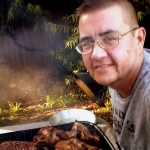 Any comments or concerns, please contact Quentin “Butch” Sayers at qsayers@wvda.us or G. Scott Hoffman at ghoffman@wvda.us or at P.O. Box 9 New Creek, WV 26743, no later than April 1, 2018.